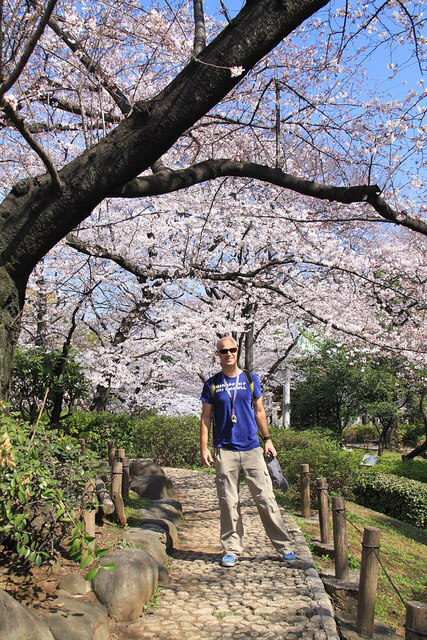 For many years Japan was high on our travel bucket list. 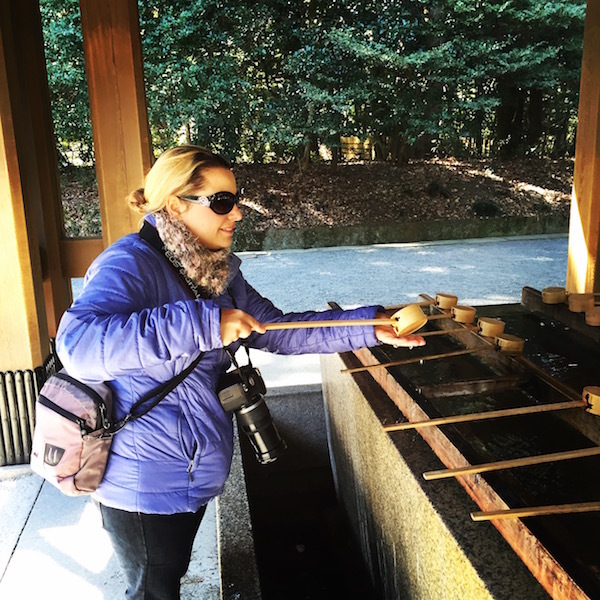 The beautiful temples and blooming Japanese gardens in travel magazines made me want to go and explore it. So after a lot of research, we finally booked to visit Japan during the famous Sakura season, better known as “cherry blossom”. This was our first visit, so we divided our time between Tokyo, Kyoto, Hiroshima, and Osaka. I knew it would be very crowded at that time of the year and we both hate crowds. However Japan was going to be crowded no matter what time of year we went! I am a keen photographer so I was really exited to visit Japan for this beautiful spectacle. After a ten hour overnight flight from Melbourne with barely any sleep, our first stop was Tokyo, the neon capital of the world. Coming from a city of four million people, it is hard to prepare yourself for the chaos of this huge metropolis. 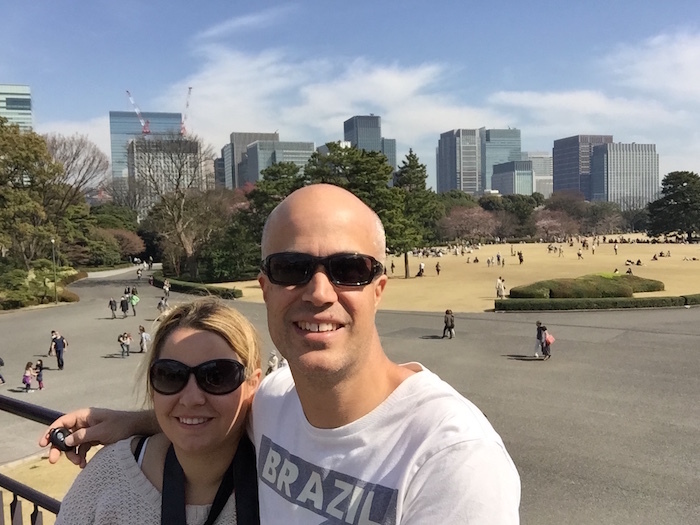 From the moment we exited the Narita Express in Shinjuku station, we felt overwhelmed. 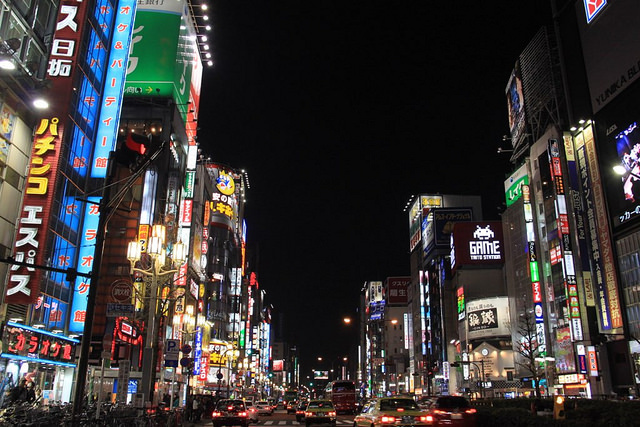 Shinjuku is the busiest station in the world, with over three and a half million people passing through it every day. There were so many people everywhere, so many exits, so many vending machines, and so many shops! We were definitely not in Melbourne anymore. As scary as it was, our excitement quickly took over and we quickly adjusted to our new home for the next seven days. Tokyo is vast; there is so much to explore. You need to allow a few days if you want to explore it properly. We had five full days in Tokyo itself with two side trips planned, one to Kamakura and another to Hakone to see the famous Mt Fuji,. Of all the amazing, quirky things to do in Tokyo which ones should you add to the top of your list? 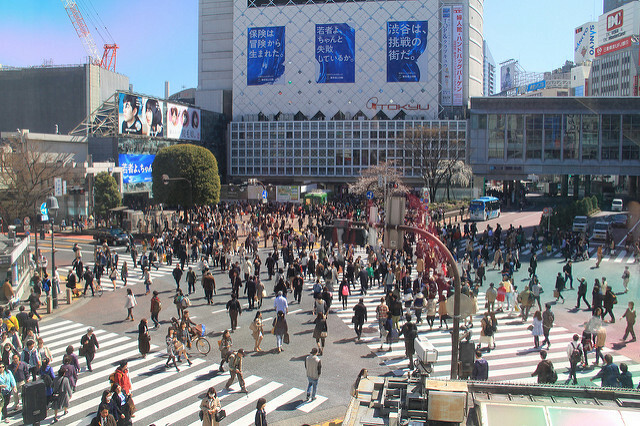 The famous Shibuya crossing is totally crazy. When the pedestrian lights turn green, up to two and a half thousand people cross the intersection in every direction. Do you want a birds-eye view of the madness? Then grab a coffee at the double storey Starbucks across from the station and get yourself a window seat on the first floor. While in Shibuya take the time to explore the area. It is the most famous part of Tokyo and is filled with fashion boutiques, colourful billboards and lots of places to eat. Then explore it at night to experience the city that never sleeps. 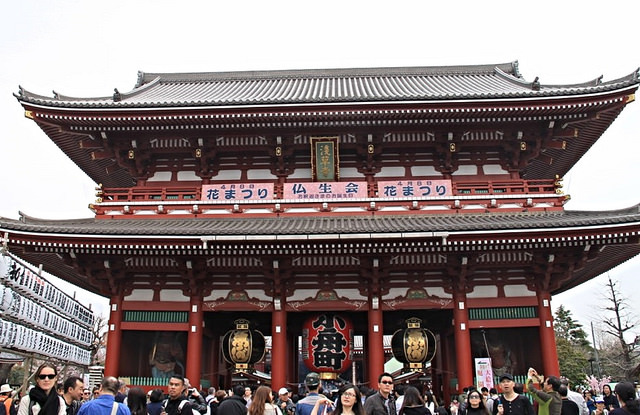 Located in Asakusa, Senso-Ji is one of Tokyo’s oldest Buddhist temples and the one most visited. It is also its most colourful and grandiose temple. You enter through the impressive Kaminarimon Gate with its huge paper lantern. Once through the gate, you will be on Nakamise Dori, the temple’s shopping street. It is lined with souvenirs, snacks, and Edo-style craft shops. At the end of Nakamise Dori, you will find the main temple buildings. 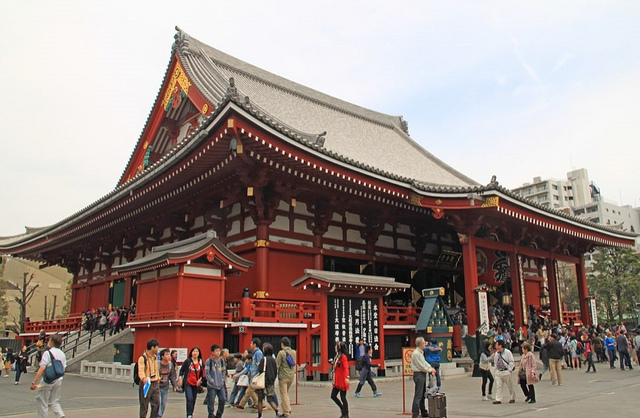 Hozomon Gate, the five storey pagoda, Asakusa Shrine and the Kannondo Main Hall are all magnificent buildings worth exploring. Be aware that this temple gets ridiculously crowded; so try and visit as early as possible. We arrived late morning and found it impossible to take photos clear of other tourists. 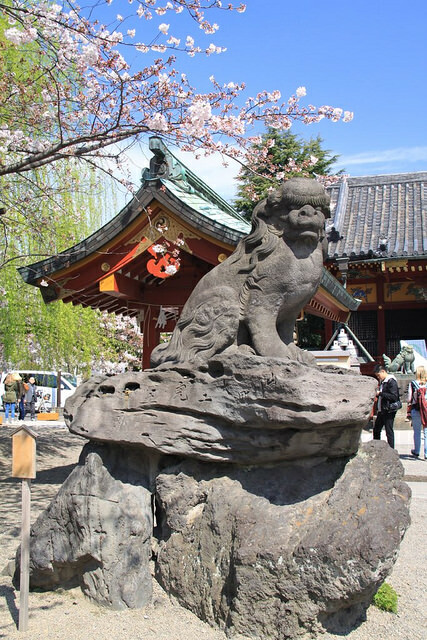 Tip: While in Asakusa, you should check out the Sumida Park right next to the Sumida river. Especially if you happen to be there during cherry blossoms. With over a thousand Sakuras planted around the riverside, this park is one of the best places to see the cherry blossoms. It is a photographer’s paradise. 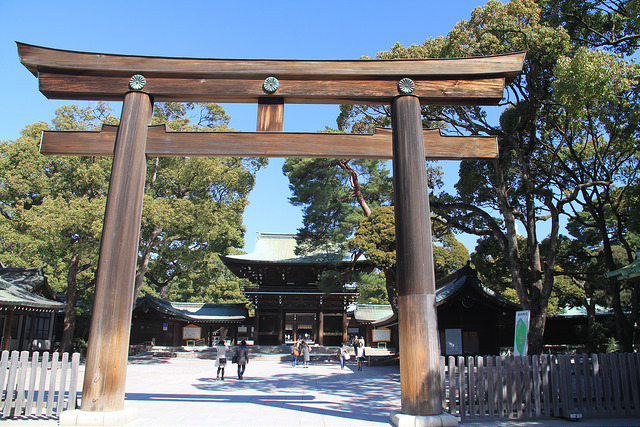 The Meiji Shrine is located right next to Yoyogi Park and is the most popular Shinto Shrine in Tokyo. To get to the entrance you will walk through a nice forested area. Entry to the shrine is through an impressive twelve metre high Torii Gate made of cypress wood. The shrine consists of two parts – the inner and the outer gardens. 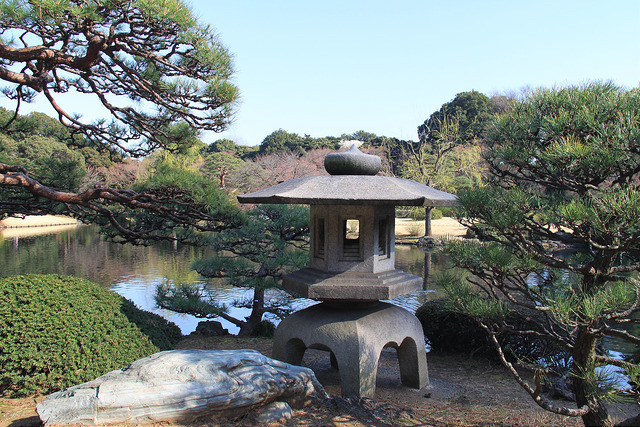 The inner gardens hold the main shrine buildings and the Jingu Naien gardens. 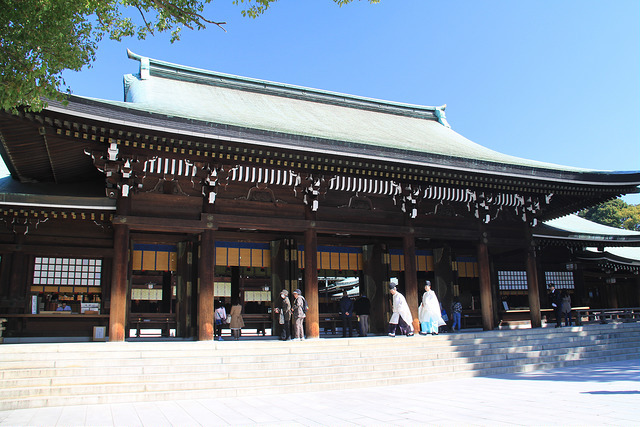 You may spot some Japanese bridal couples here as this is a very popular shrine for weddings. The Jingū Naien gardens are also worth visiting, especially in June when one hundred and fifty species of irises are in bloom. Tip: After you visit the shrine, take time to explore Yoyogi Park, one of Tokyo’s largest parks and also its most active and bustling one. With its wide lawns, forested areas and many ponds, it’s a great place to people-watch. You will see many locals exercising, picnicking, walking their dogs and playing games. 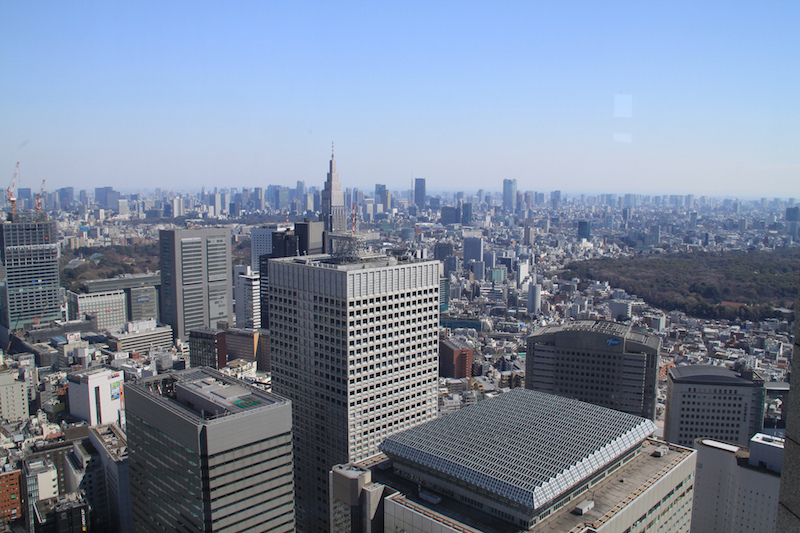 To see just how vast Tokyo really is, visit one of the city’s many observation decks such as the Tokyo Skytree, the Tokyo Tower, the World trade Centre, the Roppongi Hills Sky Deck; or the Tokyo Metropolitan Government Building. 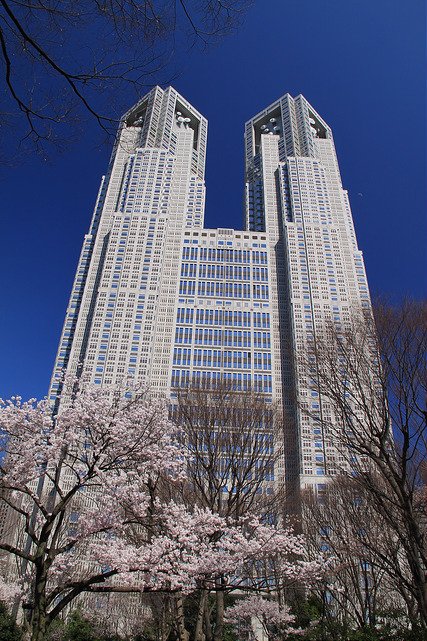 We chose the Tokyo Metropolitan Government building because it was free. The view from up there was fabulous. On a clear day, you might even be lucky and catch a glimpse of Mt Fuji. 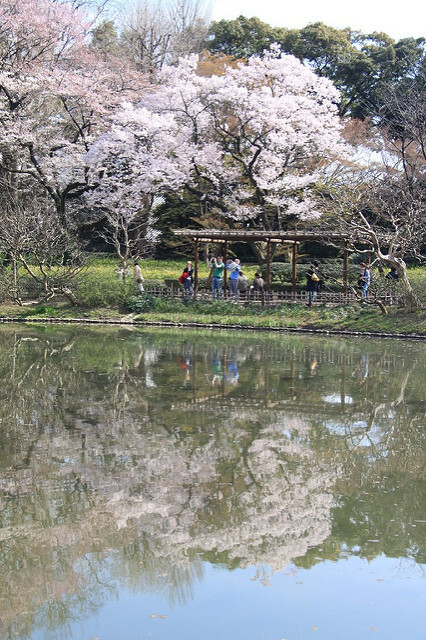 If you feel like escaping from the crowd and the concrete jungle, or just need some peace and greenery, take a stroll in Shinjuku Gyoen. This was our favourite park. There is an entrance fee of Y200 but it was worth every penny. 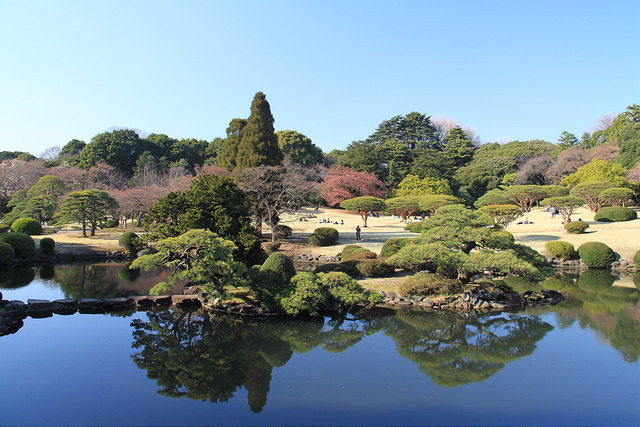 The park is divided between three gardens, French, English and Traditional Japanese. 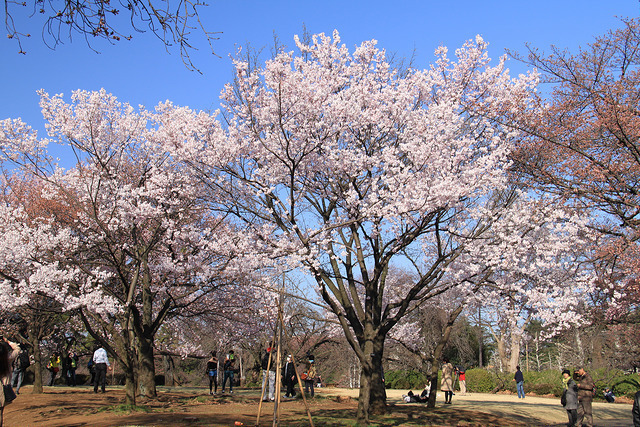 During cherry blossom season the park turns into a canopy of pink flowers. It was so pretty and photogenic. It is busy with tourists but it’s big enough that you can still have some space to yourselves. Our favourite cherry blossom experience was in Naka-Meguro near Ebisu. We discovered this place by wandering slightly off the beaten path. 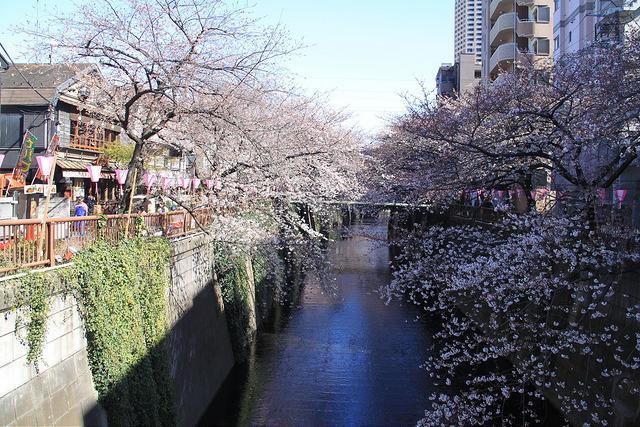 We stumbled across this canal where cherry blossom celebrations were under way. The locals were drinking champagne, eating gorgeous food and having a great time under the pale pink canopy of the blossoms. This was one of the highlights of our trip to Tokyo. Naka-Meguro was also lined with many cafes, restaurants and fashion stores. It looked like a great area to live in. 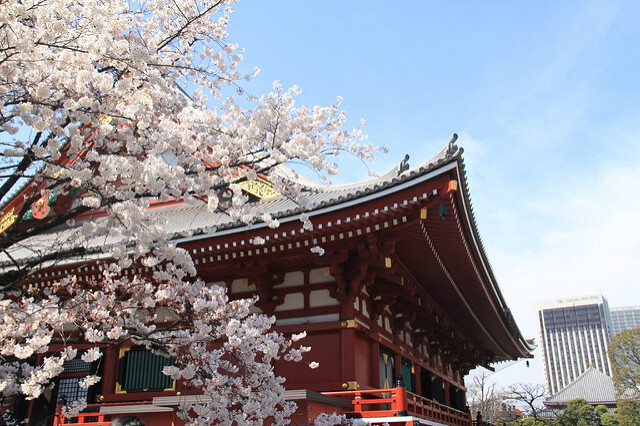 Tip: Ueno park is also a great spot to see the cherry blossoms. 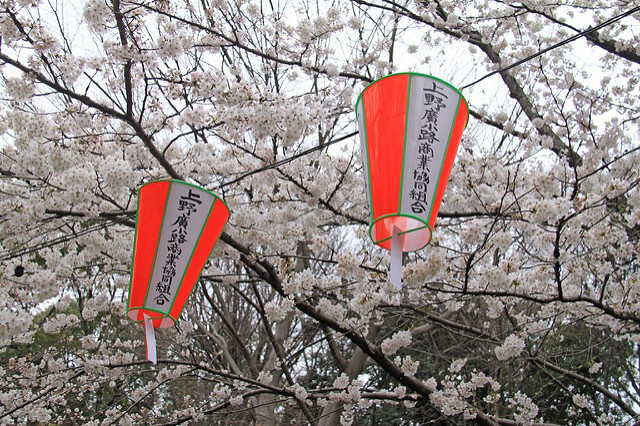 With one thousand cherry blossom trees lining the central pathway, it attracts many Hanami parties. If you want to experience the celebration, get a bento box or picnic and join the party! It does get really crowded though with both locals and tourists. So it’s not the best for photography. But it is a good place to check out the celebrations. 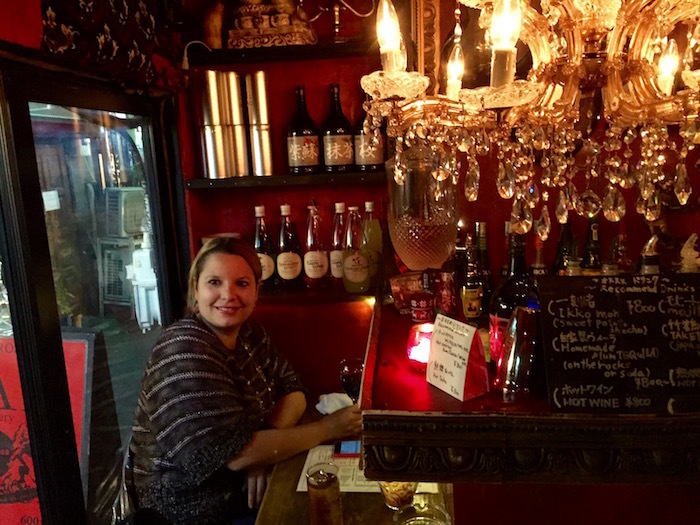 We loved finishing the day with a nightcap (or two) in the Golden Gai. 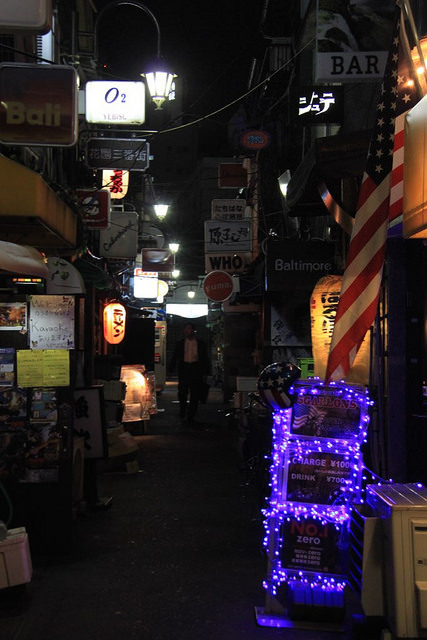 This area consists of six tiny alleyways packed with two hundred and fifty tiny bars all built on top of each other. Some of them only seat four or five people. They each have their own quirky design or theme. Our favourite was Albatross where they did the most delicious cocktails! Some of the bars are for locals only so if you don’t see a sign in English it may not be tourist friendly. It’s a great place to meet other travellers or to talk to locals. 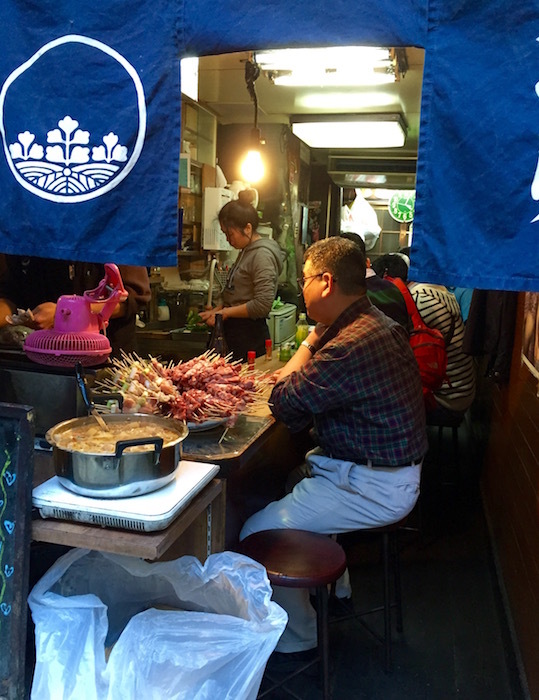 The Golden Gai also has the tiniest Ramen Noodle restaurant called Nagi, which serves the best Ramen noodles in Tokyo! It’s definitely a must try but be prepared to line up! Only if you are crazy and don’t mind being squashed up against thousands of other people that is! We took the line around 8.30am from Shinjuku to Harajuku; only two stops and it was enough for me! It was so crowded we thought we wouldn’t be able to get off. I started panicking, imagining us trapped and crammed in like sardines until we looped all the way back to Shinjuku! It was certainly an experience; and of course despite my concerns we did manage to exit successfully at Harajuku. I will never complain about the crowded trains in Melbourne again after that experience! Walking Tokyo’s futuristic neon-lit streets at night is spectacular and can feel very surreal. It’s as if you have just stepped into a video game! 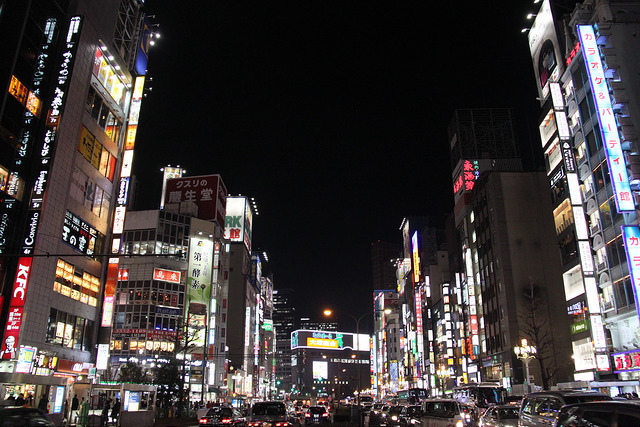 The best places to check out the neon lights are Shinjuku, Shibuya, Akihabara, and Giza. Bring your camera for some great photo opportunities! You can’t go to Tokyo and not check out some of its theme cafes. There are many to choose from, Moomin’s cafe, cat cafes, maid cafes, owl cafes, reptile cafes and much more. 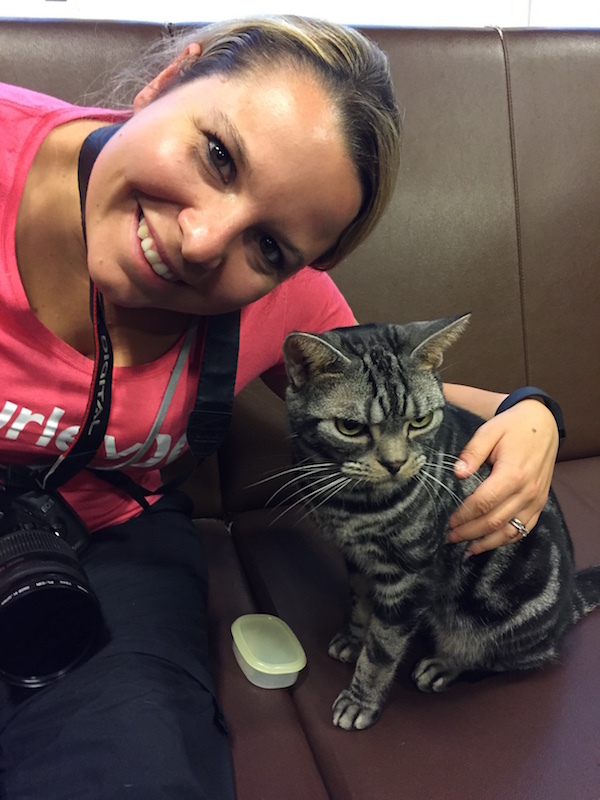 We didn’t have time to check them all out but we did visit the cats at the Calico cat cafe in Shinjuku. We also stopped for a coffee at the @home maid cafe in Akihabara where I got my picture taken with our cute maid and Simon played a game of Hungry Hungry Hippo!! Hanging out with the cats at the Calico Cat Cafe. This one didn’t seem to care for my company! 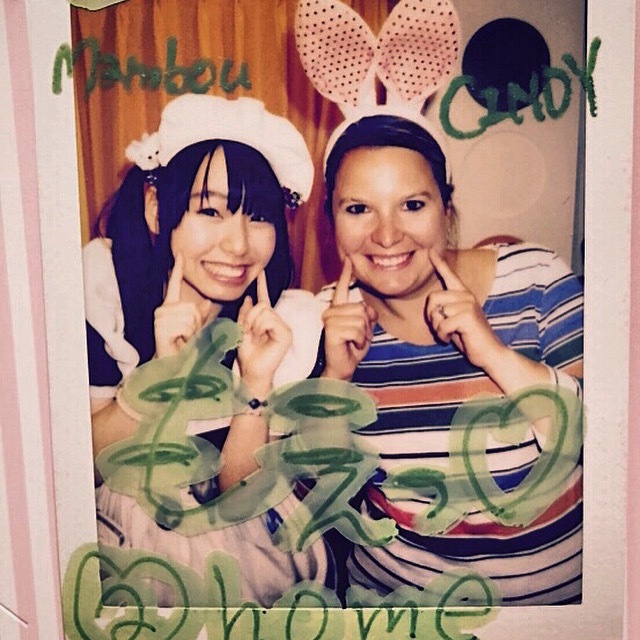 A photo with our maid Mambou at the @home cafe! 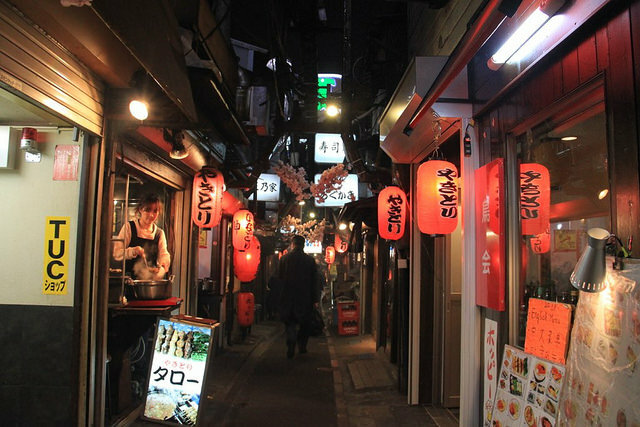 Located on the west side of Shinjuku station, Memory Lane is a small hundred meter long alleyway with many closet sized Yakitori restaurants. If you can’t find it, simply follow the smell of grilled meat or the smoke! At night it is really hard to find a seat anywhere as it is packed with locals eating and drinking after their long day at work. We eventually found a spot in a tiny alcove allowing about six people to sit. If anyone wanted to leave the other patrons had to stand up to let them pass! The yakitoris were delicious, the sake fantastic and it was an awesome experience. 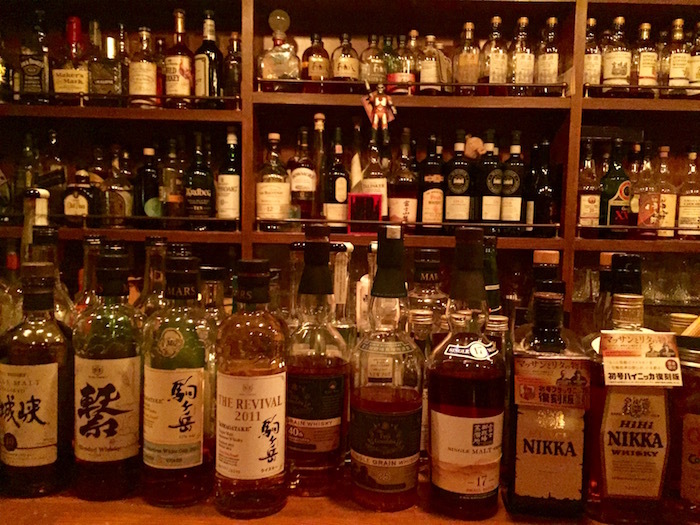 Japanese whiskey is becoming very popular in the whiskey drinking world. I don’t belong in that world but Simon does enjoy a drop of whiskey now and then. 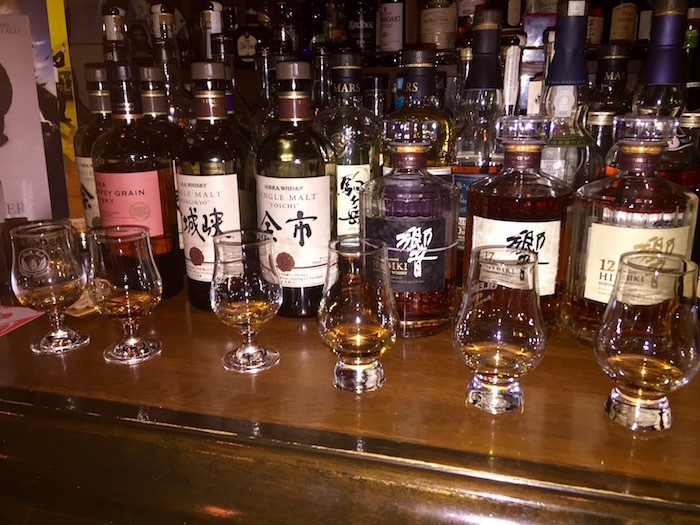 We found this great whiskey place called Zoetrope, tucked away in a small street in Shinjuku on the third floor of a building. Zoetrope was a great place to taste a few of those whiskeys. It is not cheap and has a cover charge but the selection of whiskey behind the bar has to be seen and tasted! You can buy a single shot or try a whiskey flight. Once again the place is tiny! If you love whiskey you should definitely head there. Enjoying a whiskey flight at Zoetrope! So many Whiskeys to choose from! Tsukiji fish market is the biggest fish market in the world. You will see so many kinds of fish and seafood, many of which you may never have heard of. It is very crowded with tourists, scooters, trucks, sellers and buyers running around in all directions. If you are an early riser, you can visit the Tuna auction at 5am every morning. Getting a spot is quite difficult as they only allow one hundred and twenty visitors each day. It was way too early for us! 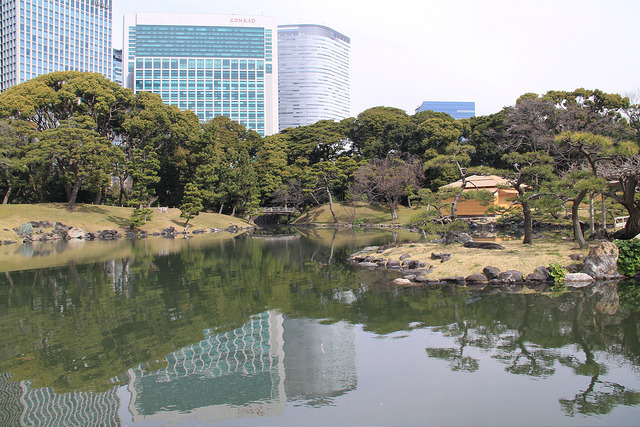 Tip: Ten minutes walk from the market and alongside Tokyo Bay you will find the Hama-Rikyu gardens. If you love Japanese Gardens you should spend some time there. Once owned by the royal family, this garden is now open to the public. It offers beautiful landscape gardens and seawater ponds which change their level depending on the tide. It is a great contrast to the skyscrapers of the Shiodome district just next door. Need a break? Stop at the traditional tea house for a cup of Matcha green tea and Mochi cake and enjoy the relaxing view. 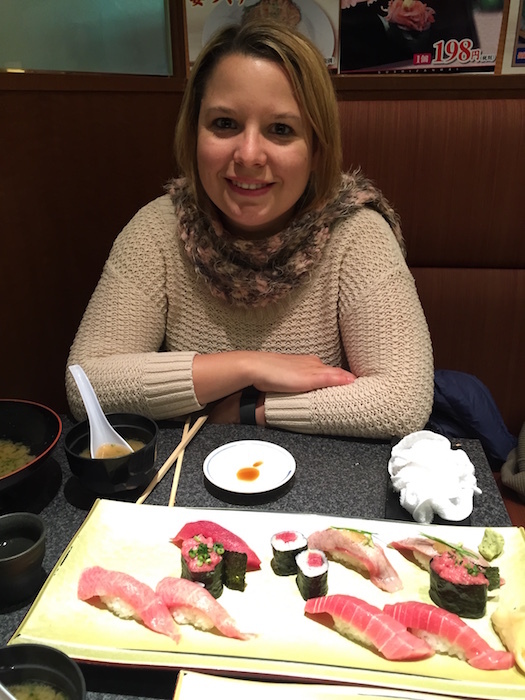 Of course, you can’t go to Japan and not eat some fresh sushi and sashimi. I love raw fish and I was in heaven. There is no shortage of sushi places in Tokyo. Our favourite was Sushi-Zanmai in Shinjuku. The fresh tuna was the best ever! 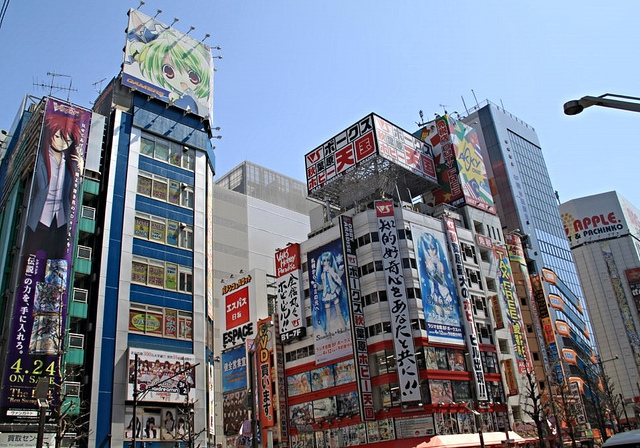 If you are a geek, traveling with a geek, or just want to check out the geek culture of Tokyo, take a trip to the neighbourhood of Akihabara. 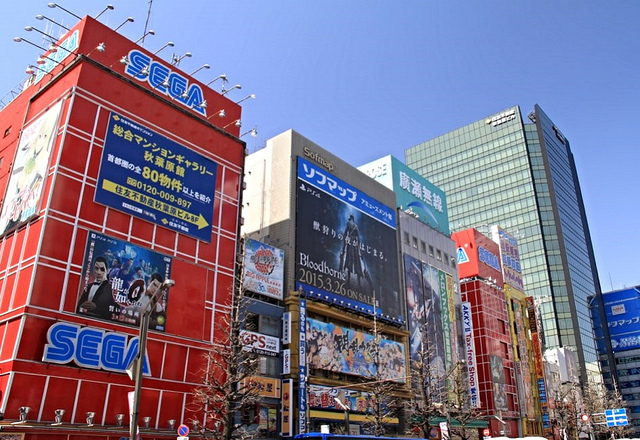 Akihabara, also called “Akiba”, is lined with huge anime figurines, mangas, and electronic shops. 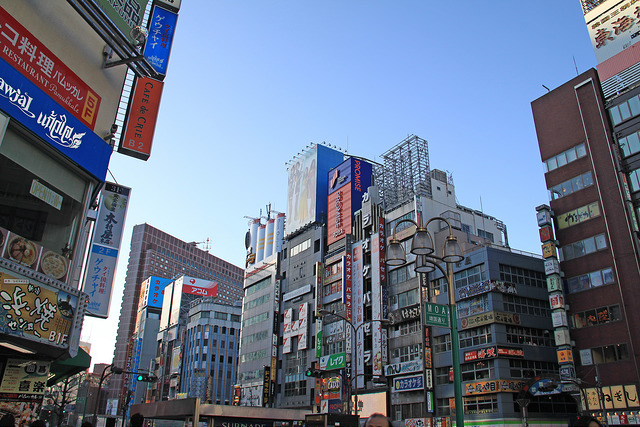 If you are searching for the newest piece of electronics, you will find it in Akihabara. Planning on purchasing something? Then remember to bring your passport for a tax-free purchase. Harajaku is a teenage fashion and shopping district between Shinjuku and Shibuya. 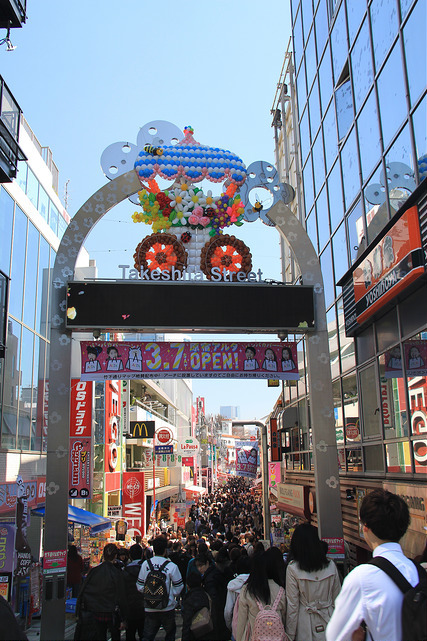 Its main street, Takeshita Dori is very popular and gets extremely crowded. 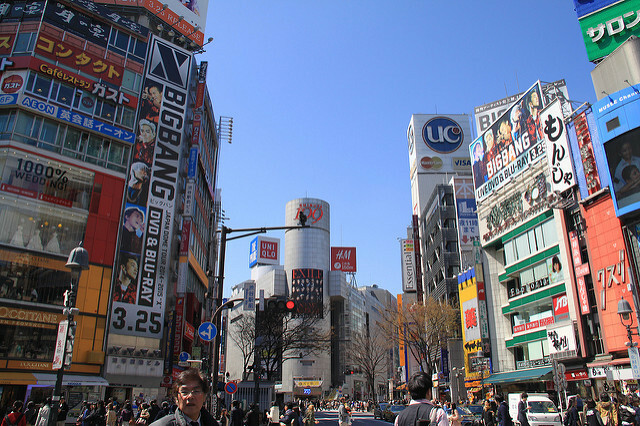 It is full of trendy shops, teenage fashion boutiques, used clothes stores, and fast food stalls. You will see many people dressed with some very out there fashion sense! Hungry? Eat a fancy crepe at one of the many crepe stands. They are delicious! We did not expect to fall in love with Tokyo. After spending a whole week there, we assumed we would be more than ready to move on and head somewhere quieter. But as we boarded our bullet train, bound for Kyoto, we felt really sad to be leaving. Although we achieved quite a lot during our week in Tokyo, I don’t think we saw even half the amazing things this huge city has to offer. People say, you could live in Tokyo for years and not see it all and I believe them! The best thing about that for a tourist, is that you can keep going back and not get sick of it. We are definitely looking forward visiting again in the future; hopefully sooner rather than later. Ah, the cat cafe! I didn’t go to one in Japan BUT I did go to a dog cafe in S. Korea. It was such a fun (and relaxing) activity to do!